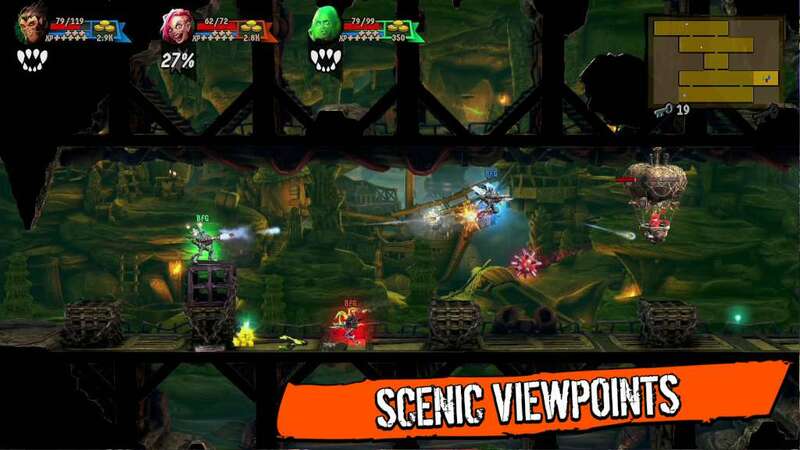 Rogue Stormers is a run ‘n’ gun game with roguelike elements for up to four players in local and online multiplayer mode. Dying in a mission will allow you to keep earned perks which allow your character to grow stronger with each new raid. 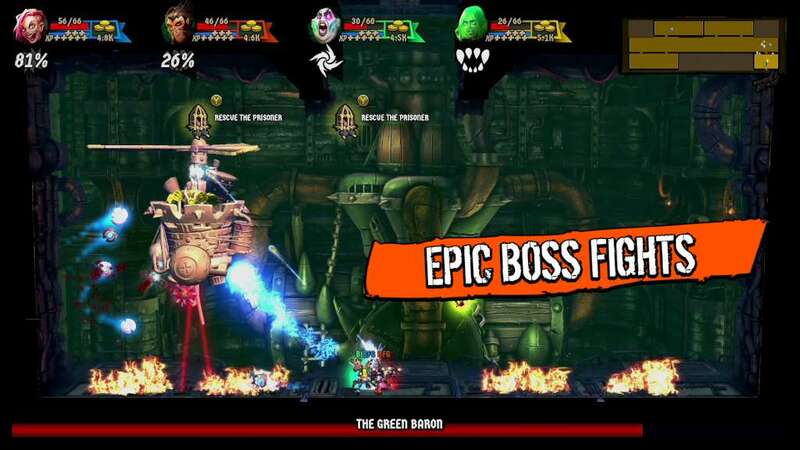 You’ll delve further and further with each session until you finally defeat the final boss. It’s up to you. Everything is possible in Rogue Stormers. 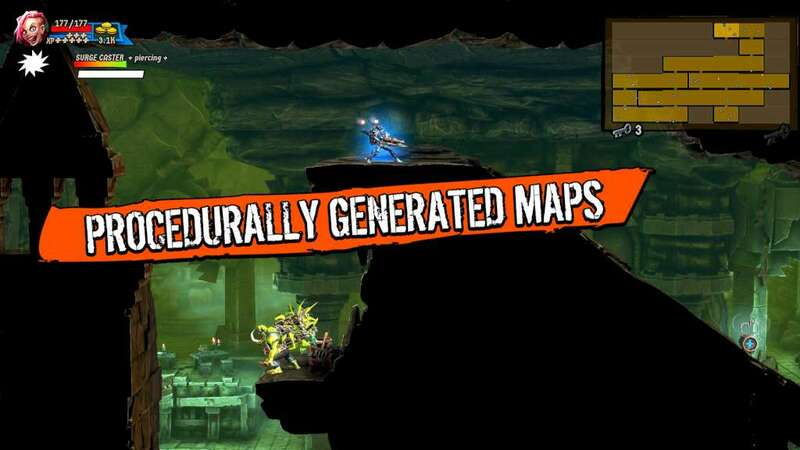 An action game with roguelike traits: how far will you get and which perks will you gain for your next attempt? Classic run’n’gun sidescroller: charge ahead, avoid enemy fire raining down on you and shoot everything that moves to get upgrades. 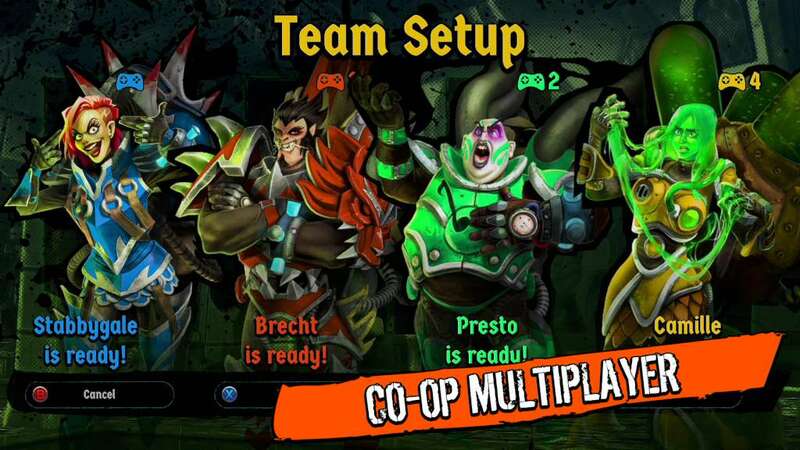 Single player mode, online and local co-op multiplayer for up to 4 players. 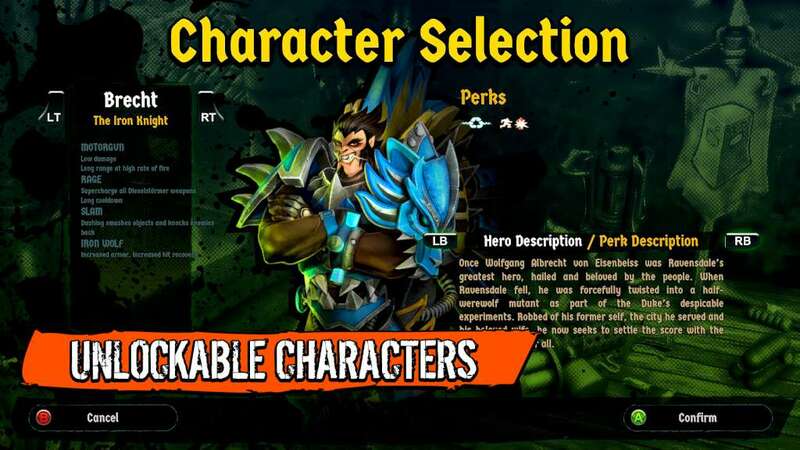 5 different character classes, each with its own play style. Huge maps featuring different parts of Ravensdale: Cityscape, Ancient Ruins, Cesspools, Underground Factory and Forgotten Caves. All generated procedurally with random placement of enemies, traps and upgrades for infinite replayability. A huge variety of enemies: From classic orcs and goblins to flatulent fallen angels, floating weapon platforms, eldritch horrors and battlegates bristling with weapons. 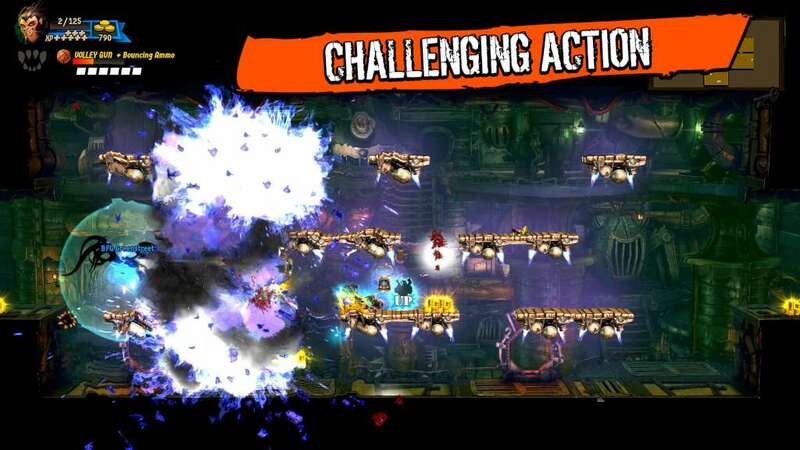 Trigger environmental chain reactions – set goop ablaze, detonate explosives, launch enemies into hazards and more!... but watch the backlash!